Hop in a helicopter and soar over some of Chamonix’s many spectacular glaciers, drive your own team of huskies through the forest, set out cycling on the snow on a guided fat-bike tour, cheer on the local team at an ice hockey match, browse the art exhibitions and galleries or indulge yourselves in one of Chamonix’s many luxury spas… These and the list of suggestions below are just some of the many activities on offer in Chamonix. Speak to your concierge to discover even more possibilities. A must do in Chamonix.Take the iconic cable car from Chamonix town to the lofty height of 3,777m at the Aiguille du Midi. Its multiple viewing terraces offer a 360° view of the French, Swiss and Italian Alps and the Chamonix valley below. An elevator lift then takes you even higher to the summit terrace at 3,842m, where you can enjoy a clear view of Mont Blanc and for the brave among you the ‘Step into the Void’ a glass box suspended over a 1000m drop. 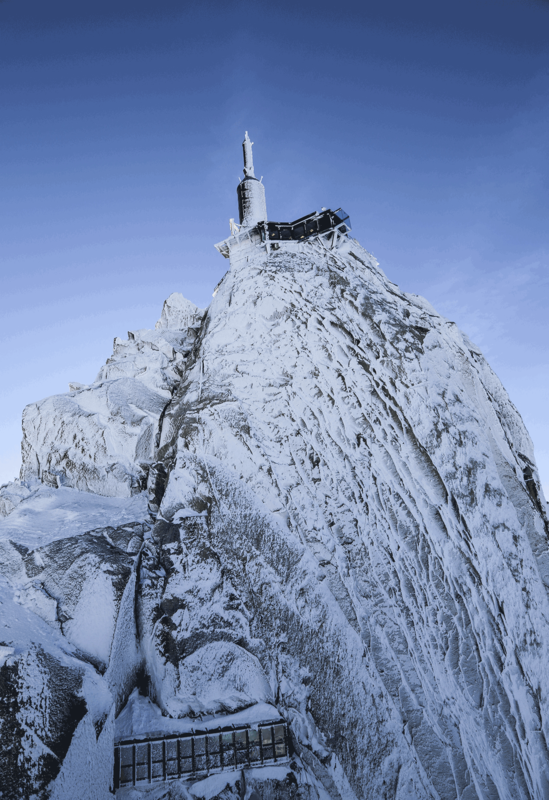 From the Aiguille du Midi it’s also possible in summer to take the Panoramic gondola lift over to the Pointe Helbronnerand from here you can connect to the new Skyway Monte Bianco revolving lift, down into Italy. 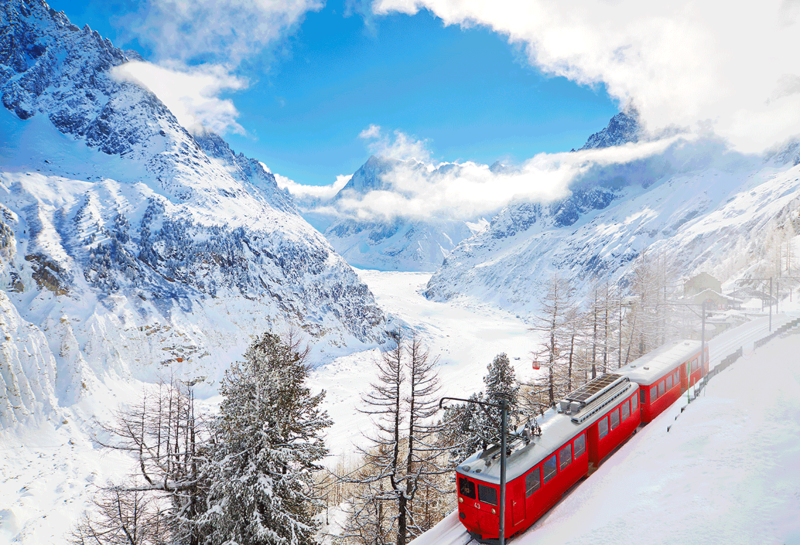 Departing from Chamonix, this famous rack and pinion railway brings you to the Montenvers site at 1913 m and the imposing panorama of the Mer de Glace glacier, the Drus and the Grands Jorasses. Once at the top you can admire the views over the Mer de Glace and visit the ‘glaciorium’ exhibit before taking a short gondola ride down towards the glacier, descending the 400 steps to walk inside the glacier itself. A really unique experience. 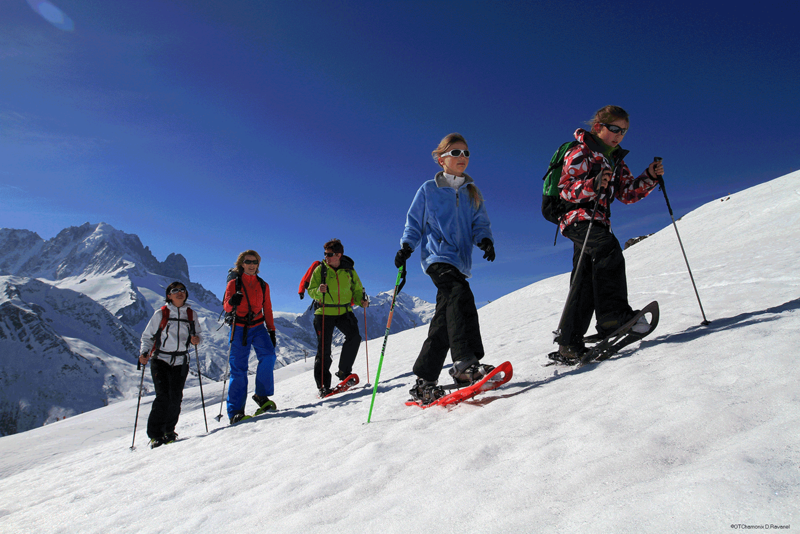 There a few places in the world with a backdrop quite so awe inspiring to snowshoe as Chamonix. Start either from the valley floor or take a ski lift up to mid mountain to enjoy even more of the gorgeous views; there are plenty of different trails to choose from. We highly recommend joining a group or taking a private guide. What better way to get away from the crowds and into the mountains. Learn how to drive your own team of Huskies! 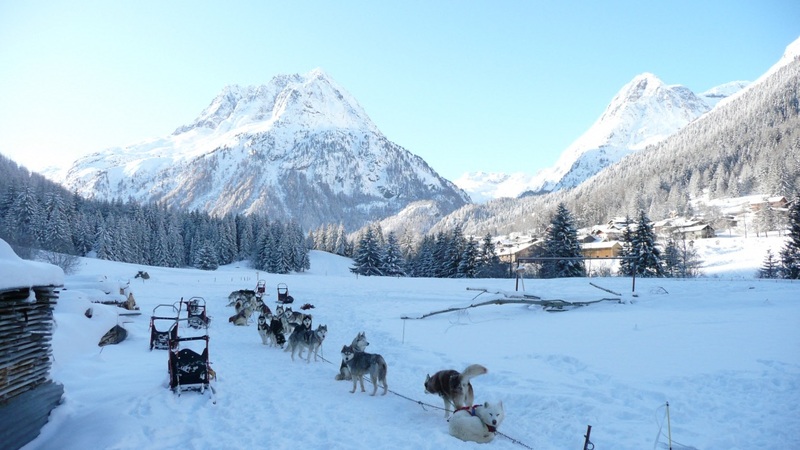 You’ll be introduced to the dogs and shown how to control the sled before hitching up and setting off around tranquil Alpine paths in the Chamonix Valley. Let the huskies take you on a really unforgettable experience. 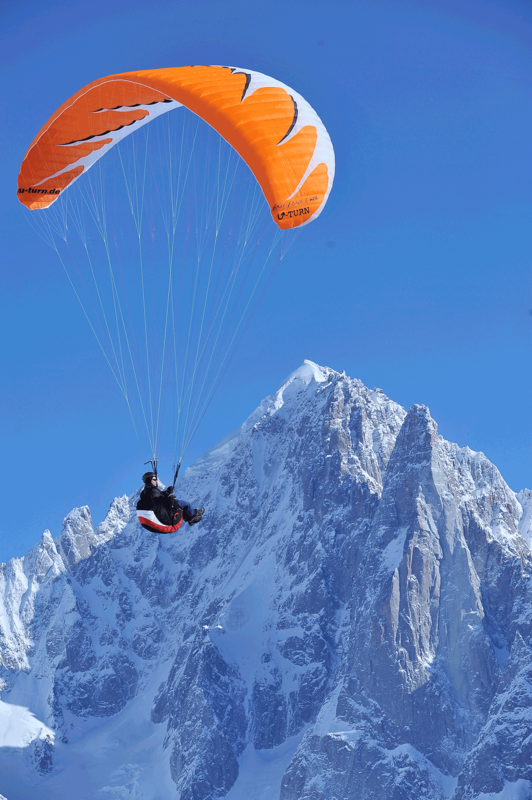 Fly high above Chamonix in the capable hands of a tandem paragliding instructor. Taking off from midway on the mountain, you’ll experience the silence of flight, the beauty of the mountains and enjoy an incredible perspective of the Chamonix valley that you can’t experience in any other way.